Korean Air has become the first airline in Asia to introduce Bombardier’s CS300 series aircraft, allowing the airline more flexibility in its domestic routes and introducing Premium Economy seating to its fleet. The aircraft was accepted at a delivery ceremony today at Bombardier’s Mirabel Facility in Quebec, Canada. The plane will arrive in Seoul Dec. 25 and begin operating on Korean Air’s domestic routes Jan. 16, 2018. The CS300 will allow Korean Air to allocate its larger single-aisle jets and wide body aircraft to routes requiring their capacity and “right size” the Bombardier jet to lower-density regional routes. These regional routes are the aircraft’s first priority. 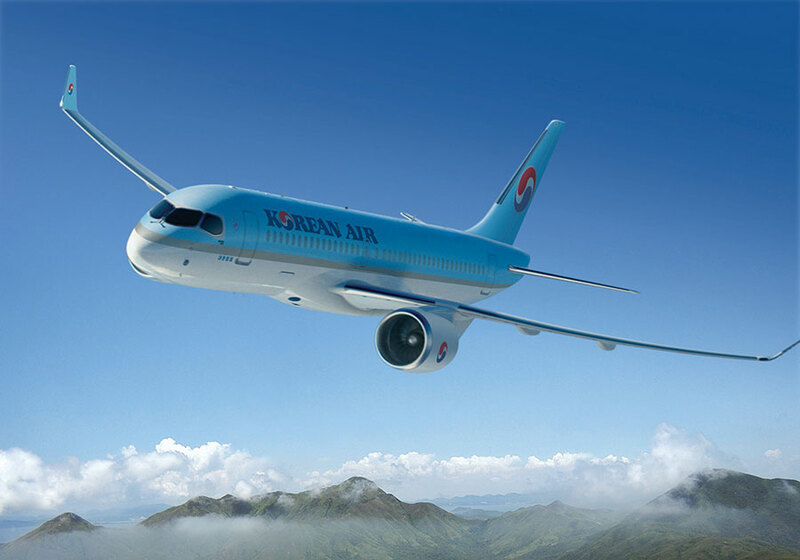 Korean Air may later take advantage of the CS300 aircraft’s range and expand internationally. The CS300 also will allow the airline to introduce Premium Economy class to its fleet. With the single isle dual class configuration, customers will be able to enjoy a wider pitch (4 inches wider) and a wider seat width of 19 inches. Korean Air is expected to take delivery of its second CS300 before year-end: another 127-seat dual-class configuration with Premium Economy and Economy seating. The airline is planning to receive a total of ten CS 300 aircraft.